The Tigers will play the Memphis Blues at Memorial Field on September 12th in a friendly and tune up for our conference play. 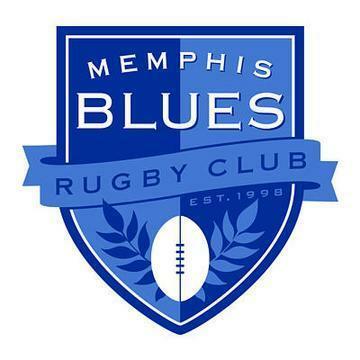 The Blues have been significant supporters of the Tigers and have provided much-needed support over the past few years. They have provided several thousand dollars over the past few years in jersey support and dues scholarship. They gave us a scrum matching worth several thousand dollars. The Blues added to their support this year when the Executive Committee voted to contribute $2000 to our two new sets of jerseys required by the SIRC conference. The Lady Tigers will make their debut the same weekend when they take on a round robin of play with two visiting lady teams. The three matches should make for a fun day. Old Boys, Friends, Family and Fans – We need your support. Please join the Tiger Rugby 100 Club and be a person who contributes at least $100 annually to help the club. It is easy to contribute with Pay Pal… and if you are tight on funds, set it up to charge your card $10 per month. Everyone can handle that. John Elmore is going to sign up to pay $10.00 per month. Thanks John. We are trying to get 100 folks to sign up, so everyone must be in. See more here.